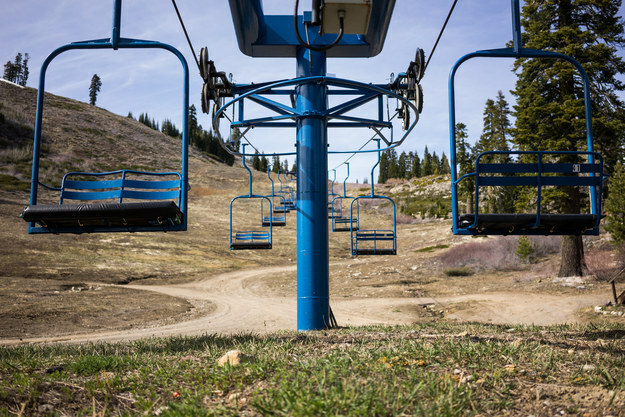 Seven ski resorts in California’s Lake Tahoe have closed early for the season because of the lack of snow. 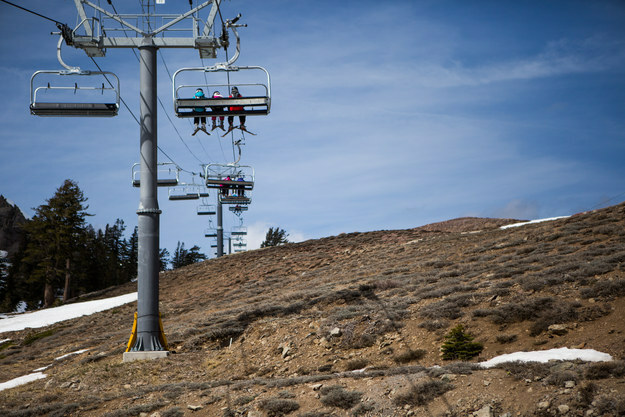 California is experiencing one of the most severe droughts in recorded history, and its devastating impact can be clearly illustrated by its effect on the state’s ski resorts. 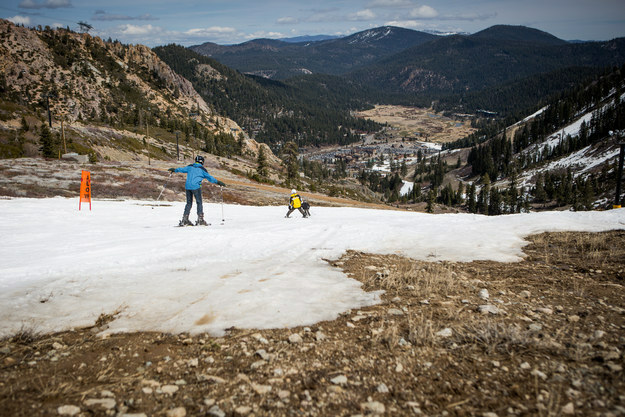 Seven resorts in Lake Tahoe have had to close early because there is not enough snow to cover their slopes, The Sacramento Bee reported. 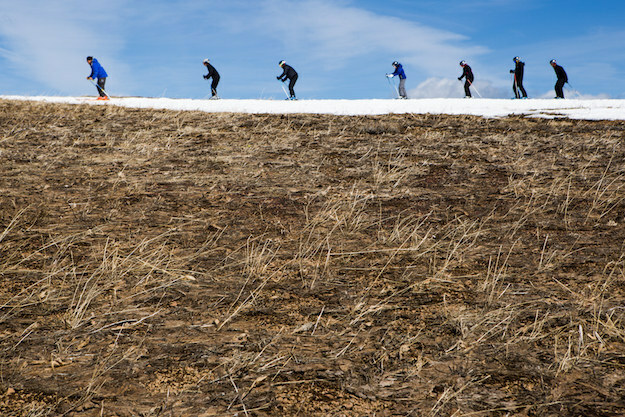 Photos from resorts show people attempting to ski and snowboard amid large patches of barren ground. 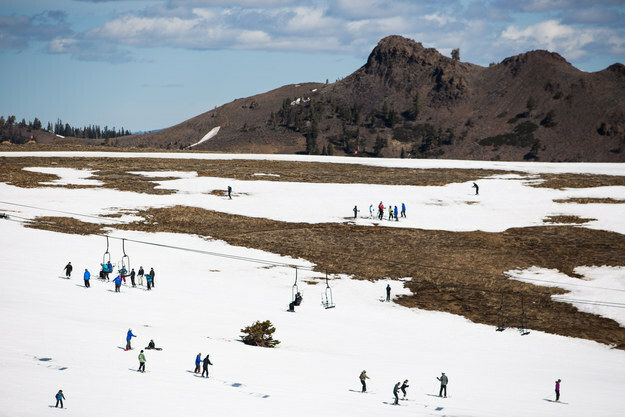 The lack of snow is leading the resorts to try to find other activities people can do on the mountain without snow, according to the Sacramento Bee. 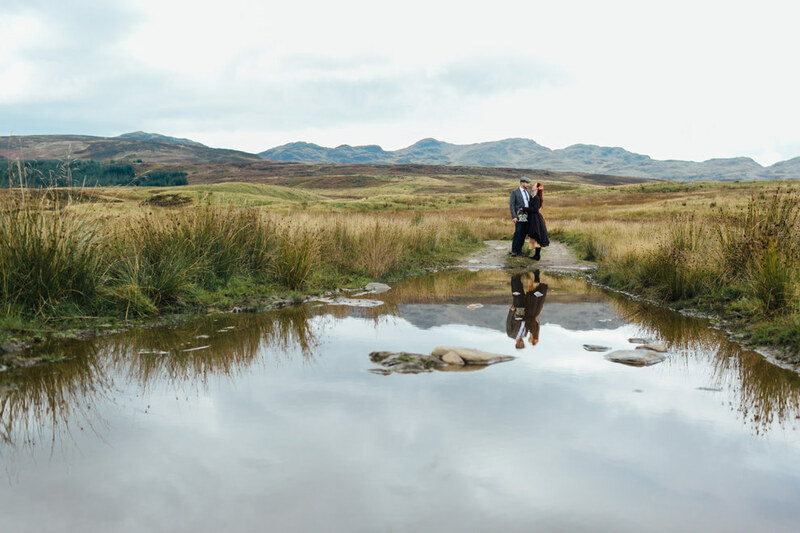 Experts say the lack of snow will likely persist into next season. 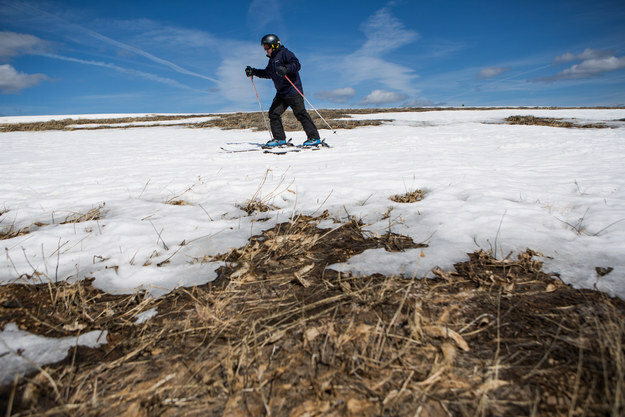 Climatologist Mike Anderson told the paper that the warmer temperatures will continue, and this will cause more rain than snow to fall on the state. The NOAA said in February that this winter was the warmest in California’s recorded history and its third driest. On Friday, Gov. Jerry Brown announced an emergency $1 billion package to help the state deal with the drought.